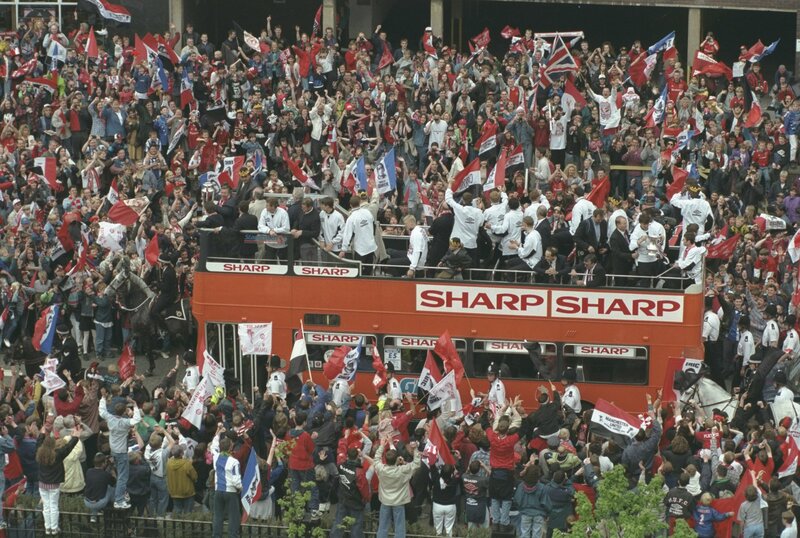 Should Manchester United be allowed to have a victory parade? Manchester United fans are fuming after being denied a Champions League victory parade because Greater Manchester Police and Manchester City Council are still scraping drunken Glaswegians off the pavements following the Uefa Cup final. 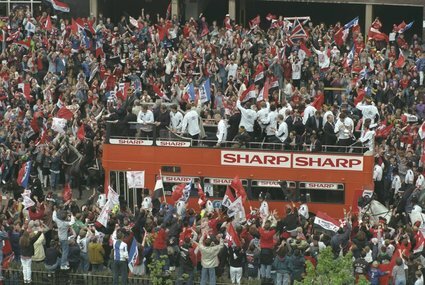 It seems very harsh that Man Yoo fans cannot celebrate a fantastic double with the traditional open-top bus tour. In fact it is so unfair that I have devised two contingency plans. It will save the majority of United fans a lengthy trip up to Manchester, Greater Manchester Police can put their feet up and watch it on TV and I’m sure their wouldn’t be too much havoc to be wreaked in Surrey. Everyone’s a winner. It only seems fair. If the police are convinced United fans would go on a mad rampage, they might as well do it in Glasgow. The Rangers fans might even come out to celebrate being runners-up in the Mickey MouSPL. Seriously, what is wrong with the champions of Europe showing off their achievement? Can anyone see any sense in this decision?